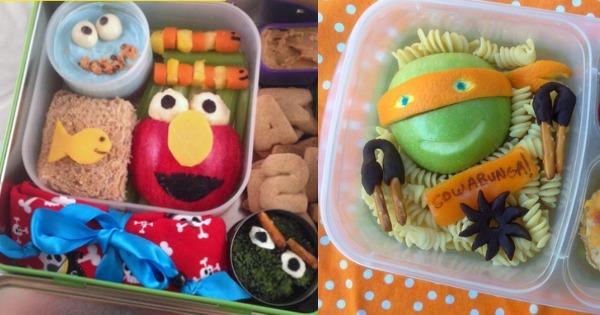 These are quite possibly the most amazing bento lunch boxes we’ve ever seen. 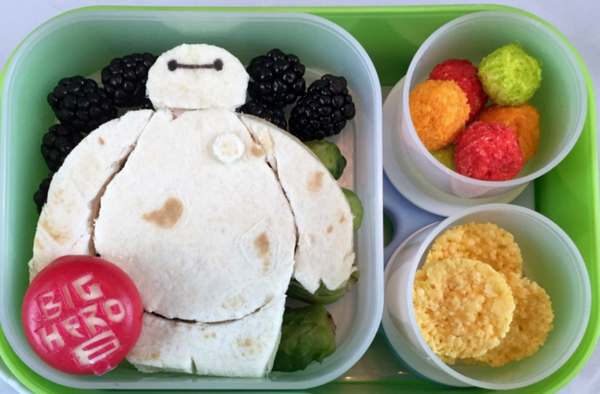 Check out the American dad who is slicing up some seriously smashing lunches based on his children’s favourite characters. We’ve got Ninja Turtles, we’ve got minions, we’ve got Elmo and Cookie Monster. We’ve got Rapunzel, we’ve got the Avengers and of course, we’ve got Elsa. What more could your child want for lunch? 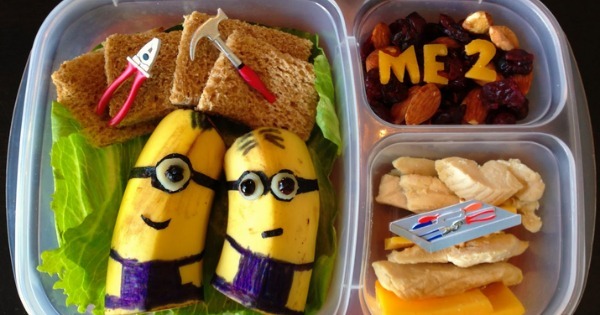 Lunchbox Dad, aka Beau Coffron, is an everyday working father of three mixing up some pretty amazing food art every morning as he packs his children’s lunches. 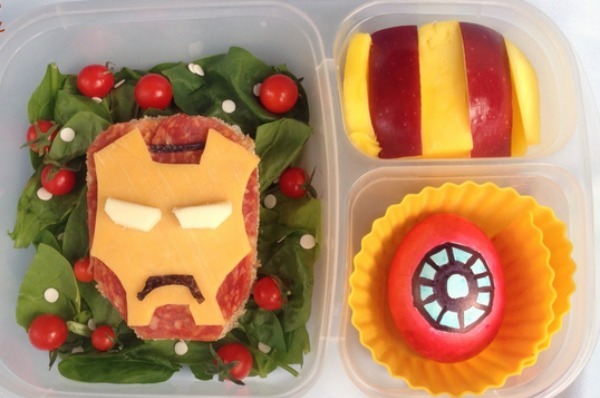 Prepare to marvel at these super hero themed bento lunches. My son would probably fall off his pint sized school chair if he opened his lunch and found a cheese and salami Tony Stark staring at him. They may look tricky, but they really are quite simple and all of his lunches are made using everyday lunch staples. 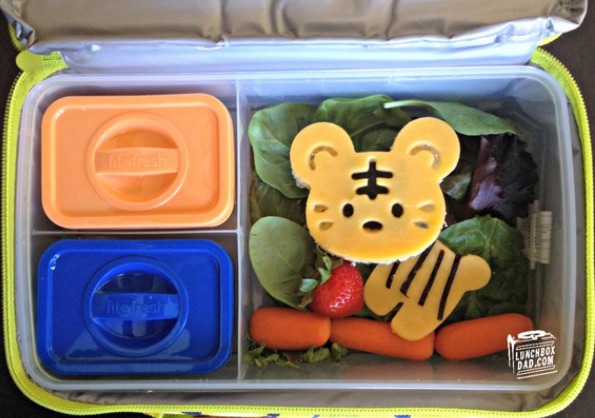 Each lunch box includes a fruit, veggie and main dish. 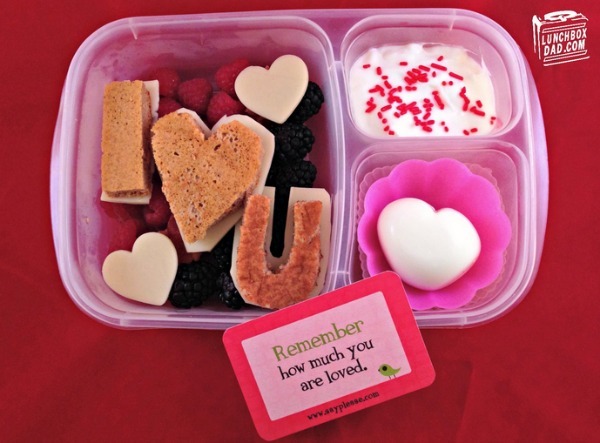 Pikelets, for example make up the “I Love You” sandwich and sit atop fresh raspberries and blackberries. Ironman is simply an open sandwich with cheese and salami on a bed of spinach paired with a mango and apple ‘mask’ on the side. 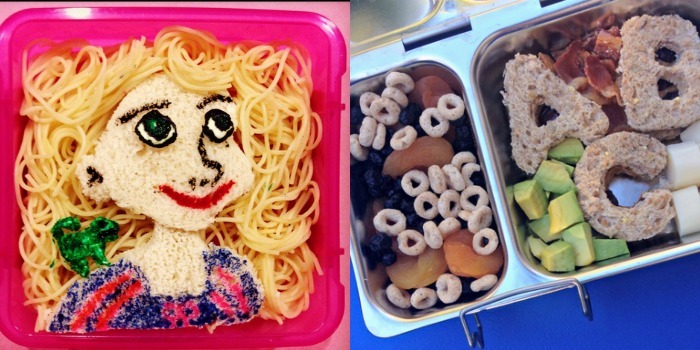 Bananas are the hero fruit for the Despicable Me Bento box and Rapunzel’s hair is easy angel hair pasta. And it’s not a themed lunch box without a little bit of Frozen thrown in there. 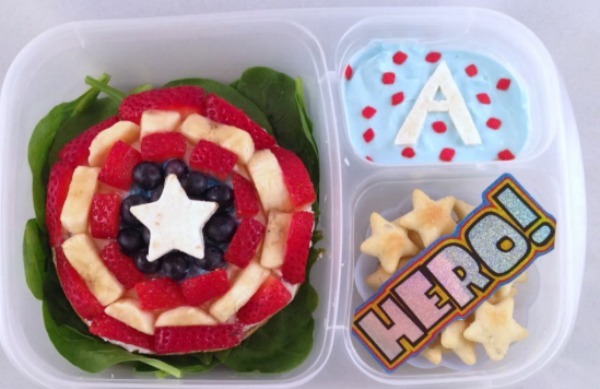 The down-to-earth dad most certainly has a talent for creating crafty characters out of bread, brie and berries but he remains grounded and aware of the fact that not all of his lunches are fit for a superhero. Even Lunch Box Dad sometimes succumbs to the standard cold leftover pizza and muesli bar lunches. 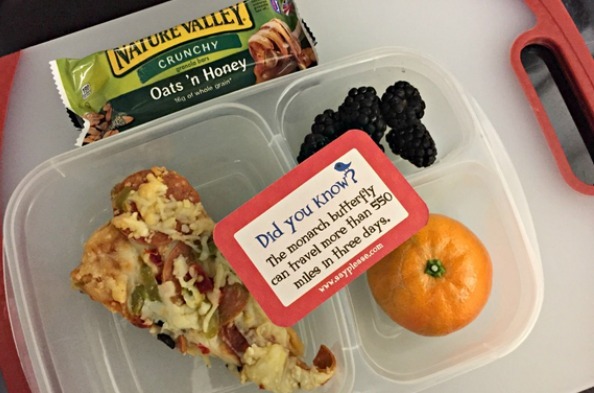 If you’re running on empty for school lunch inspiration, then visit Beau’s blog for more great ideas or browse our own archives for some lunchspiration. 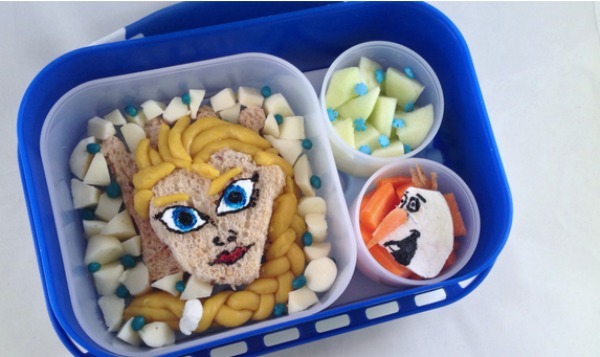 Check out our posts on the mum whose lunch box surprises goes down a treat, another dad’s sandwich bag art and lunch boxes with an edge.